Easy going Mac Demarco has dropped his fourth album, This Old Dog. This follows his 2015 album Another One and shows his continued growth as an artist. Demarco is known for his laid-back demeanor, wanting to interact with fans directly, whether through his Official Fan Club or at shows. He’s given out his New York home address on the final track of Another One offering his fans a cup of coffee if they stop by. Since this, he moved to California at an undisclosed address and started working on his newest release. If you’re unfamiliar, you can get a better sense of his attitude through his music videos or social media posts. This Old Dog doesn’t deviate much from Demarco’s easy, breezy sound found in his previous two albums, but displays a level of growth in songwriting and production. His lyrics are less cluttered than before and grapple with much more complex and adult themes, the largest being Demarco’s relationship with a largely absent father. He laments that he’s turning into his father on the first track “My Old Man”, closing the album with “Watching Him Fade Away” where Demarco says of his father’s illness: “the thought of him no longer being around/ well sure it would be sad but not really different”. It’s heart wrenching to hear about losing something that was never quite there and a stark contrast to previous songs such as “Ode to Viceroy”, an ode to Demarco’s favorite cigarettes. Maybe it’s his shift towards these more adult themes that makes this album feel different from the previous ones. The sound hasn’t changed that much, although Demarco’s favored an acoustic guitar heavily this time around. This album also sounds more polished, more studio produced than previous demo-like moments from Salad Days or 2. He’s still the laid-back singer-songwriter but his sound is starting to explore a selection of other genres and influences. “A Wolf Who Wears Sheeps Clothes” feels folky with a harmonica and acoustic guitar while “One More Love Song” immediately after is funkier with heavier bass. However, he manages to do all of this and still sound like Mac Demarco. This album makes for easy listening in true Demarco fashion. While it personally isn’t my favorite work from him, it still has great moments and is still a strong album. 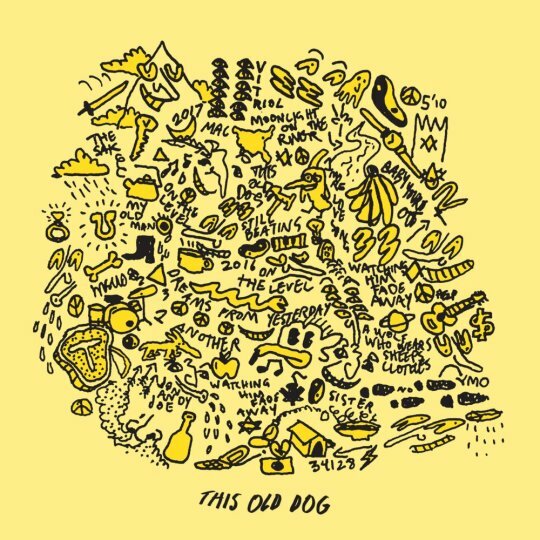 Stream This Old Dog here and catch Demarco at The Moore Theatre September 10th or 11th.